General Hamilton inspects his troops. 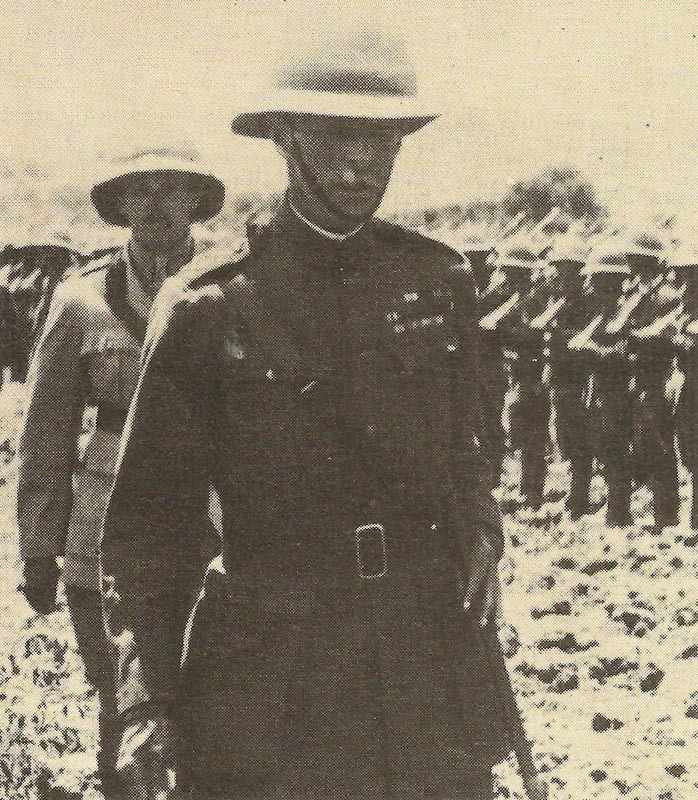 Egypt: General Hamilton inspects 20,000 Anzacs troops for the Dardanelles (2,480 NZ reinforcements arrived on March 26). First German Gas Regiment formed, 2 battalions of 3 coys each. Allied conference at Chantilly (GOG), Kitchener, Joffre and Field Marshal French; latter agrees to release 2 French corps for spring offensive. East Prussia: Esebeck’s Brigade retakes Tauroggen northeast of Tilsit. Carpathians: Brusilov takes 11,140 PoWs, 9 guns and 35 MGs in Lupkow Pass sector until next day. Flanders: U-boat Flotilla activated with 127t coastal UB boats (first 6 missions in late April) and 168t UC minelayers; assembled at Antwerp and towed to Bruges­-Zeebrugge via canals (16 u-boats operational by October). East Africa: 300 British soldiers with 16 lorries (used for the first time in this campaign) beaten by Germans at Salaita Hill, east of Taveta. Britain: Lloyd George: ‘Drink is a more dangerous enemy than Germany or Austria’. Shipbuild­ers urge prohibition. St Dunstan’s War Blind Hostel opens.